A new SEC warning for investors is all about bitcoin and other cryptocurrencies. This SEC warning outlines the potential hazards that investors may face when dealing with bitcoin and other cryptocurrencies. The following are a few examples of these risks. Investment Fraud — The SEC warns that investment opportunities involving bitcoin have a higher risk of fraud and may be part of a Ponzi scheme. It warns investors to steer clear of offers for guaranteed high investment returns, pressure to buy right now and the other trappings of fraudulent schemes. Fraud Targets — Similar to the previous warning is one about investing in bitcoin in general. The SEC says that bitcoin investors are more likely to end up as targets of fraudsters and investment opportunities with high risks. Limits Recovery — The SEC notes that using bitcoin in investment minimizes the chances of getting money back in the case of fraud. This is due to banks not typically taking part in bitcoin, the international scope of cryptocurrencies and more. Unique Risks — The final SEC warning about bitcoin has to do with the unique risk that investors face while using it. This includes the cyrptocurrency not being insured, there being no form of government regulation for it, as well as it being highly volatile. This isn’t the first SEC warning about bitcoin and other cryptocurrencies. Back in August the organization warned investors about Initial Coin Offerings (ICO) scams. It warned against public companies that may take part in these scams and was actively suspending trading of their stocks. 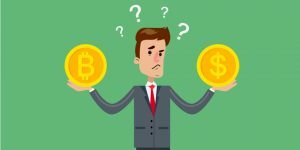 Article printed from InvestorPlace Media, https://investorplace.com/2017/12/sec-warning-investors-of-bitcoin-risks/.